At B8 Ventures, we’re proud to offer Ecoraster products to aid with sustainable erosion control in a variety of environments. These geogrid systems are created with fast and easy installation in mind, made from durable, 100 percent repurposed material, and offer a wide variety of applications. The Ecoraster E40 model is designed to take a beating and provide reliable erosion control throughout the years. Installing the E40 is fast and easy. After you’ve determined the specific load requirements for your project, excavate your sub-base to the appropriate depth. Then, place and pack down gravel and lay your E40 sheets on top. They arrive in 3×4 sections and can be laid out in any direction you want. After that, just lay grass, sod, gravel, or concrete on top. 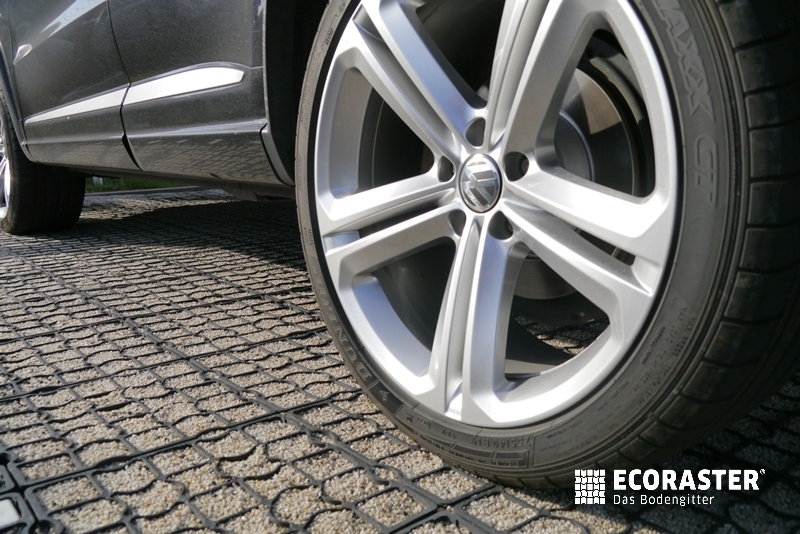 All of the Ecoraster products are made from 100 percent recycled materials, providing peace of mind while reducing the carbon footprint of your project. However, the E40 is able to comfortably withstand tons of weight, freezing cold, and simmering hot temperatures, all while bearing the load securely. With a 20-year manufacturer’s warranty, you can be secure in the knowledge that you’re taken care of should anything go wrong. The E40 is an environmentally friendly ground support system that you can trust with your next project, big or small. To place an order, contact B8 Ventures by phone or online today.